Was brought in for a checkup on the dyno and base run as the plan is to upgrade the ECU with a Syvecs plug'n'play and set the vehicle up to run flex fuel. 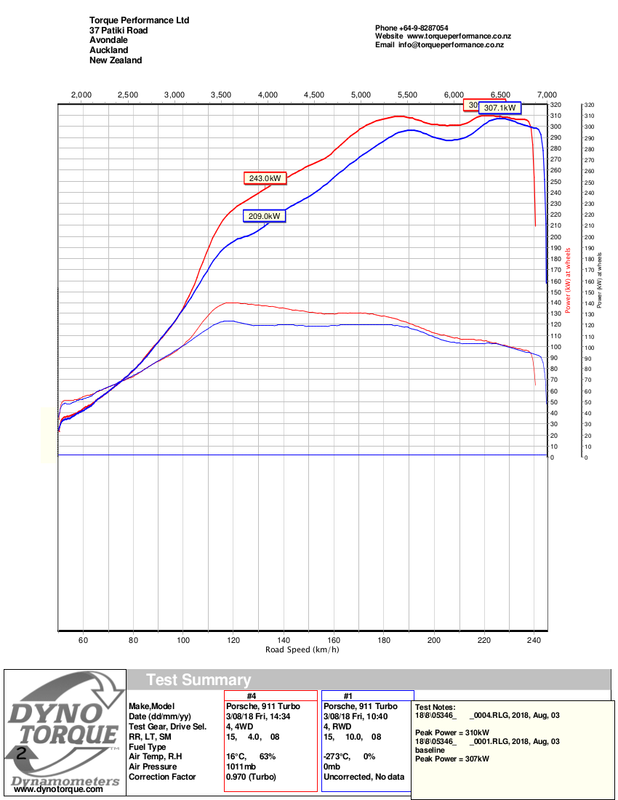 It did have a tune done elsewhere which we assume was a drop in tune from overseas and made 307kW at the wheels on the dyno, fuel was running a little rich for this model, but again not surprising from a file made overseas. The customer was happy with us to go ahead and see if we could get any extra out of it with our promise to him that if could get any extra, there was no charge for the attempt. So we got to work and by the time we were done we could only find a couple of kW extra peak, but 30kW+ extra in the mid range made our tune all the worth while. Also the air fuel ratio has been improved so fuel consumption should be a tad better too. Once the customer is finished with his other vehicle project, it will be back on the dyno for an Syvecs ECU, fuel system upgraded to suit E85 and tuning for flex fuel.